Travelling is always a good time to pamper yourself. Experiencing a unique place to stay in an idyllic setting is often a top requirement for discerning travelers. With that in mind, Vacation Niseko developed a host of brand new properties that redefine what a luxury ski holiday in Japan is all about. 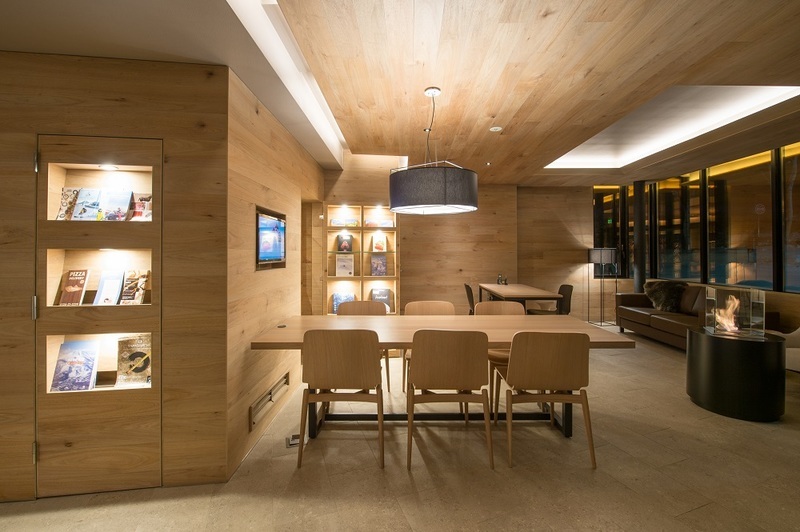 Below you will find some of the most exclusive addresses that are managed by Vacation Niseko's team. We are always looking at providing visitors with the best luxury experience and keep Niseko's reputation as Japan's best ski destination. 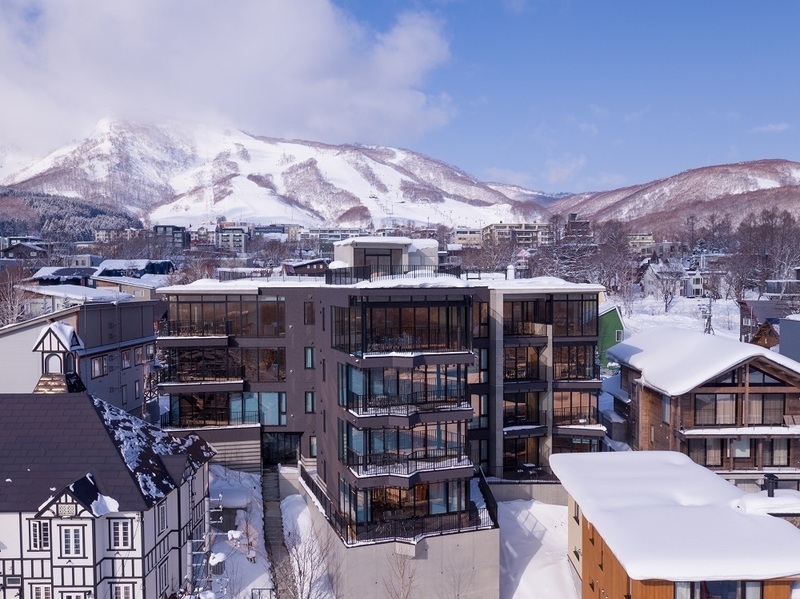 Aspect Niseko is our most luxurious property which was newly opened in December 2016. Sitting on the edge of a steep cliff facing the majestic Mount Yotei, most of Aspect's apartments offer superb panoramic views on Mt. Yotei, also known as "Ezo Fuji, through their floor-to-ceiling windows. The bird's-eye view overlooking the snow-covered houses of Lower Hirafu Village is a picturesque scene that seems to appear out of a fairytale. 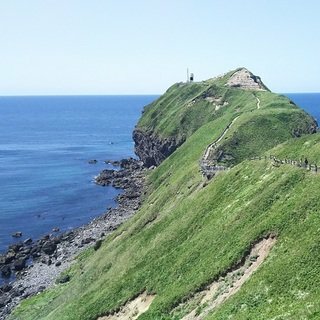 Aspect is perched on the edge of an escarpment like a bird ready to take wing. The bird's-eye view from Aspect's apartments overlooks the lower Hirafu Village and features Mount Yotei as a backdrop. Relaxing in the spacious living room overlooking Ezo Fuji is sure to leave guests a long-lasting memory of their holidays. The open-plan layout of the living, dining and kitchen areas ensures there is ample natural lighting for optimal enjoyment of the surrounding scenery. With only four storeys and eleven apartments available, Aspect offers a low-density premium option for customers looking for more intimacy and a unique stay experience with an elevated level of service. The apartments vary in size and come in either a 2 or 3-bedroom configuration. They all feature spacious and luxurious living rooms to unwind after a day on the slopes. A limited numer of apartments ensure the utmost level of service by the on-site concierge team. The open-plan layout of the living, dining and kitchen areas let in a maximum amount of natural light. If you come in a large group, the 2-bedroom apartment can be combined with an adjoining 3-bedroom apartment to create one spacious 5-bedroom option. Measuring a total of 303 sqm, this palatial 5-bedroom apartment offers three ensuite bathrooms and two colossal bath tubs. Aspect's 2-bedroom and 3-bedroom apartments can be combined to create a 5-bedroom apartment. The colossal 5-bedroom apartment is equipped with five bathrooms in total. Perfecting your stay will be the exclusive ski valet and on-site concierge services offered at Aspect. The complimentary dedicated concierge service gives the guests access to a wide array of ski lifts and restaurants located around the village, without requiring a tiresome walk. With an elevated level of service, Aspect has an on-site concierge daily available from morning to evening in winter. Located in the Middle Hirafu Village, Aspect is within a stone's throw to the renowned Momiji street. 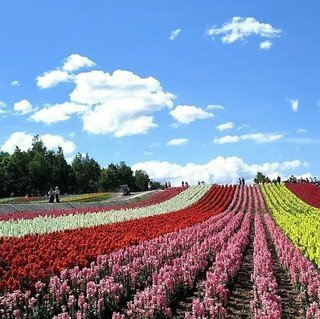 In this culinary hub of Hirafu Village, you can find the famous Ezo Seafood, Nabe Nabe, The Barn and many more. Accessing the delightful restaurants of lower Hirafu such as Rin or the traditional Yukoro onsen has also never been easier. Dining out is easy for guests staying at Aspect, just a short walk away from Niseko's best restaurants. 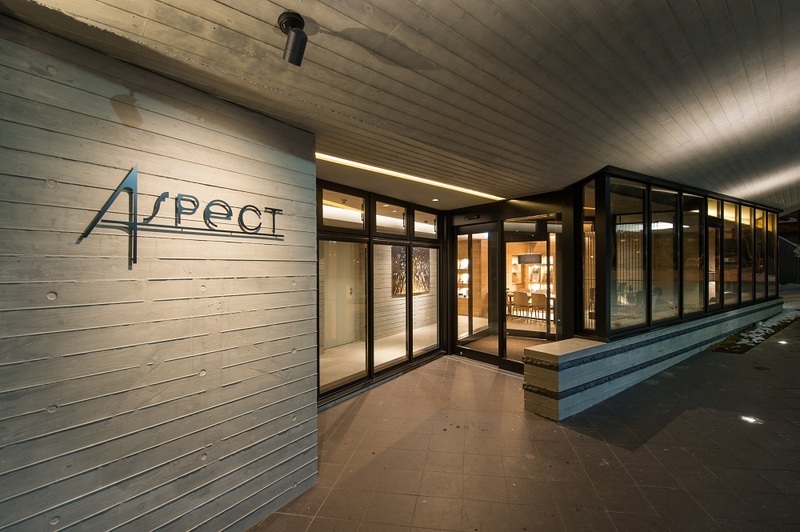 With its unrivalled design created by Riccardo Tossani Architecture studio, Aspect delivers a premium experience for your next ski trip in Asia's best ski resort. Sometimes when travelling, you stumble upon a one-of-a-kind place that leaves a you with a long-lasting impression. 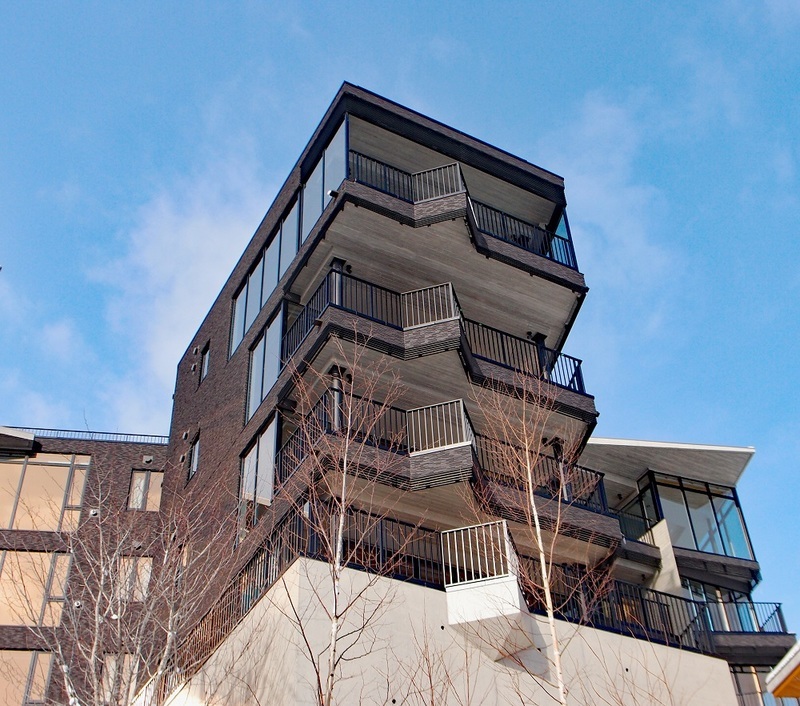 MUSE Niseko, a property redefining what design and style is all about, features unparalleled apartments. The large and luxurious common spaces of MUSE's apartments are sure to delight every visitor. The tailor-made Cassina furniture features clean, modern lines and make the living room a dream area for you to enjoy a drink by the fireplace. 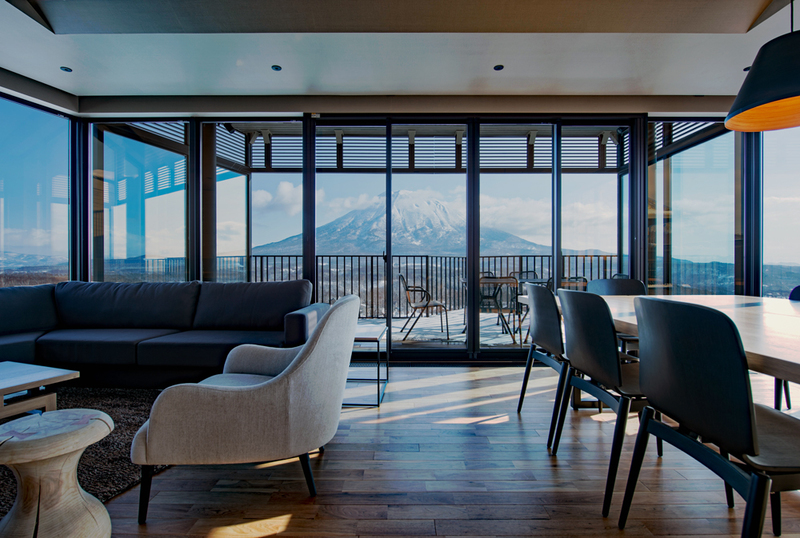 Furthermore, the full floor-to-ceiling windows the let you contemplate Niseko's iconic Mt. Yotei. In summer, the large balcony is an inspiring area to savor the unobstructed view while enjoying the region's mild and breezy weather. The breathtaking MUSE Niseko is towered at the entrance of Hirafu Village. One of the most strikingly beautiful apartments at MUSE is without a doubt apartment #401, which features 3 ensuite bedrooms. This massive apartment spans 201 m² and can accommodate up to 7 guests. The immense living room is the best place to relax after a day of hard play on the slopes or after a delightful golf round. Mount Yotei greets guests every morning through the large floor-to-ceiling windows. 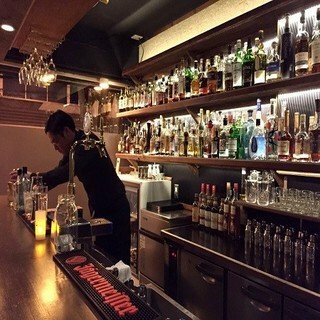 MUSE is located in the heart of the Hirafu main village and makes it easy to reach every delightful dining option around such as the Michelin-starred Kamimura restaurant. The apartments also feature a fully furnished kitchen with state of the art branded appliances. Available only in MUSE 401 apartment, a tepannyaki grill is waiting for aspiring chefs who want to try their hand at cooking Japanese dishes such as okonomiyaki and yakisoba. A massive dining table perfect for dining parties lay in front of the cooking area. For even larger group, guests can consider booking the 3-bedroom apartments at MUSE with an adjunct studio, which adds another ensuite bedroom. 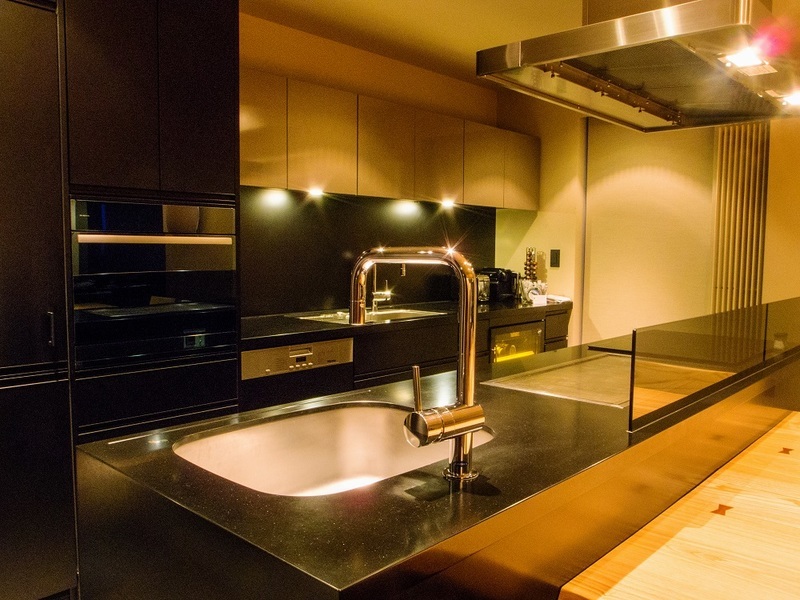 MUSE's apartment 401 is equipped with a tepannyaki grill that is not commonly found in Niseko. Practitioners of mountain sports will love MUSE's closeness to the ski lifts and the large ski locker room located on the ground floor. A complimentary morning ski shuttle service gives the guests an easy access to an even wider array of ski lifts located around the village. The Gravity - The North Face shop & café is also located on the ground floor and carries the latest gear of the world's most renowned outdoor brand and exclusive apparels designed only for Gravity Niseko. The Gravity - The North Face shop & cafe is located on the ground floor of MUSE Niseko. With its unmatched bold design created by Riccardo Tossani Architecture studio, MUSE Niseko immediately became a landmark in Niseko. The sleek reception lobby and apartments alike feature art works by contemporary Japanese calligrapher Rieko Kawabe. If you are looking to spend your next trip in Niseko in style, look no further. 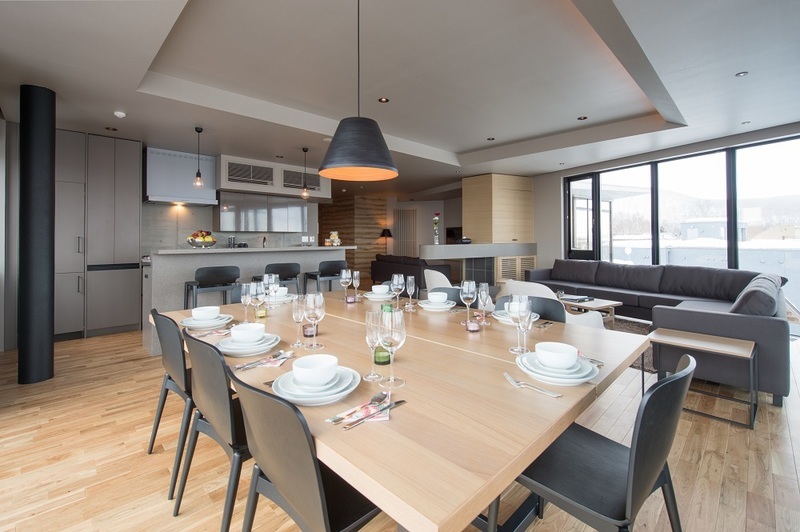 LOFT Niseko is one of our most sought-after luxury properties, with peak dates being booked-out well in advance. 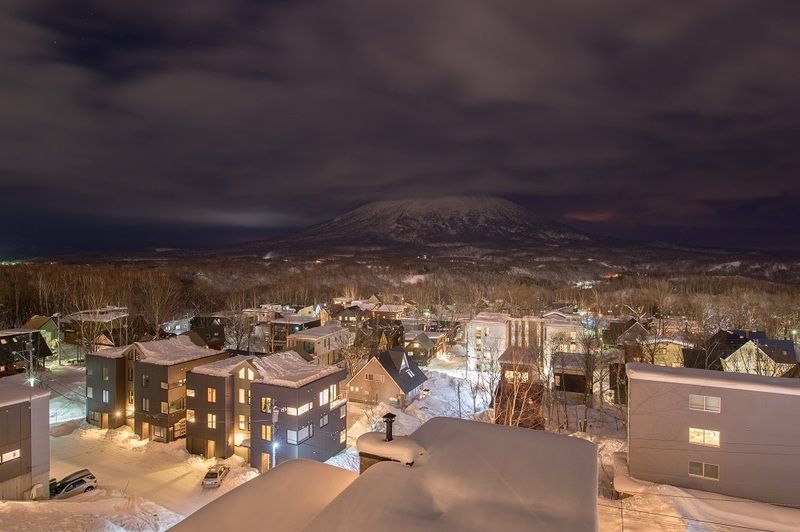 A stay at the sumptuous LOFT Niseko ensures you will have the finest ski vacation on earth. 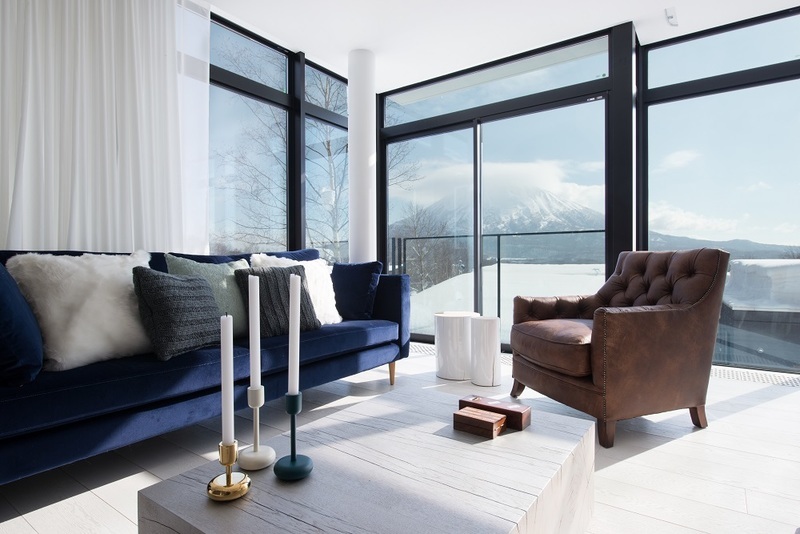 Focused on building strong connection with the nearby stunning natural landscapes, the four apartments at LOFT Niseko deliver a rejuvenating feeling through the use of reclaimed wood and natural stone. The interior design has been created by the internationally renowned yoo Studio, while the architectural design of the property was headed by the acclaimed Riccardo Tossani Architecture team. 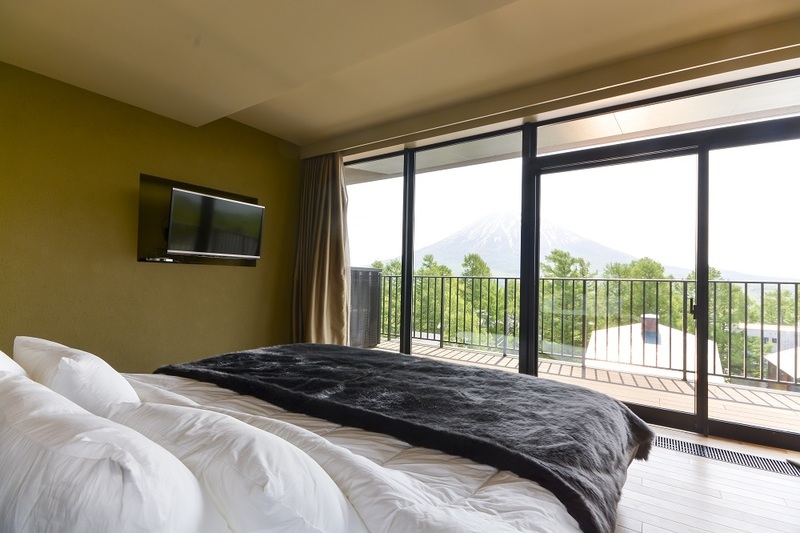 The astonishing view on Mount Yotei is exhibited through floor-to-ceiling windows at LOFT Niseko. 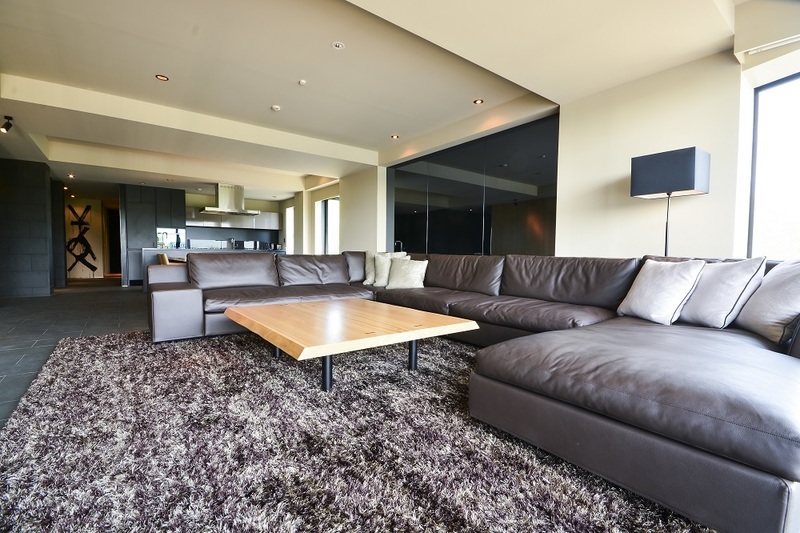 The developer also paid meticulous attention to every single detail - plush rugs, synthetic fur pillows, blue velour and brown leather couches. 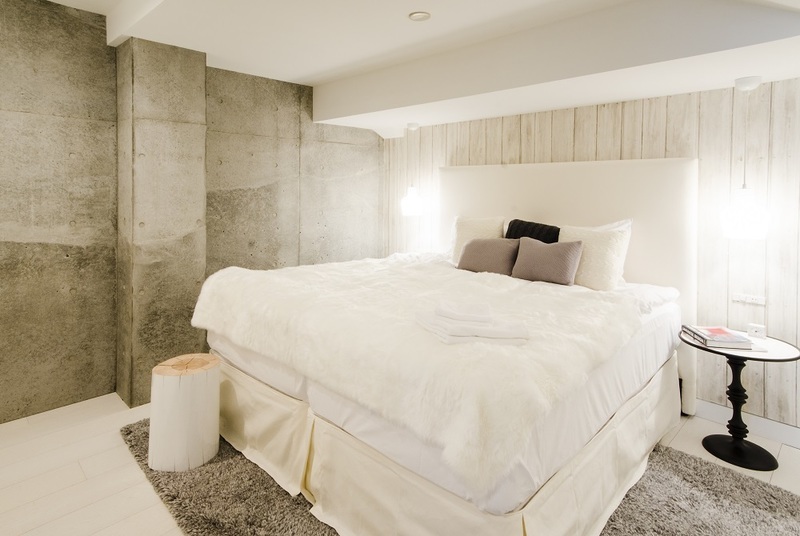 You will only find luxurious comfort in a cosy ambience at LOFT Niseko. All the apartments also include the necessary appliances for a perfect vacation, including Nespresso coffee machine, sleek in-wall televisions with English channels, multi-region DVD player, free WiFi and much more. The LOFT apartments all feature a fully-equipped kitchen. To suit every travelers' requirements, the apartments can be booked as either a 2-bedroom or in a 3-bedroom configuration. The soft synthetic fur fluffy duvet and pillows will sure take you to a good night's sleep. 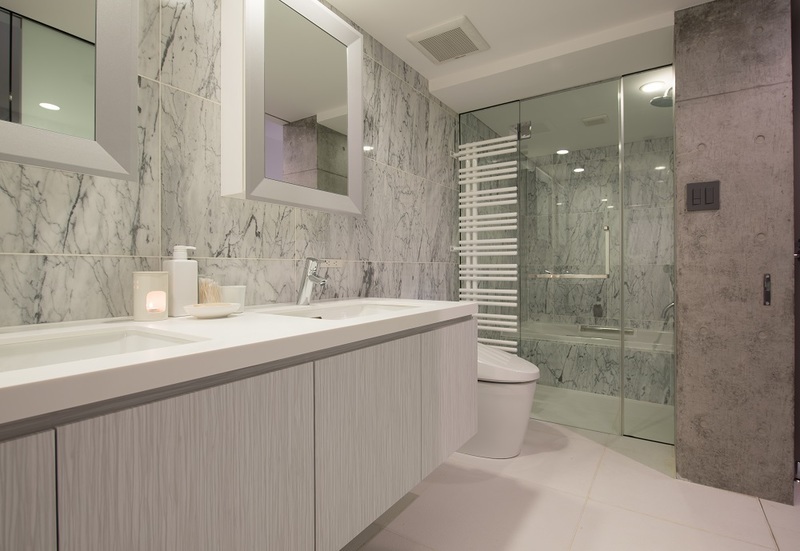 The marble bathrooms at LOFT Niseko accentuate the nature-focused concept. 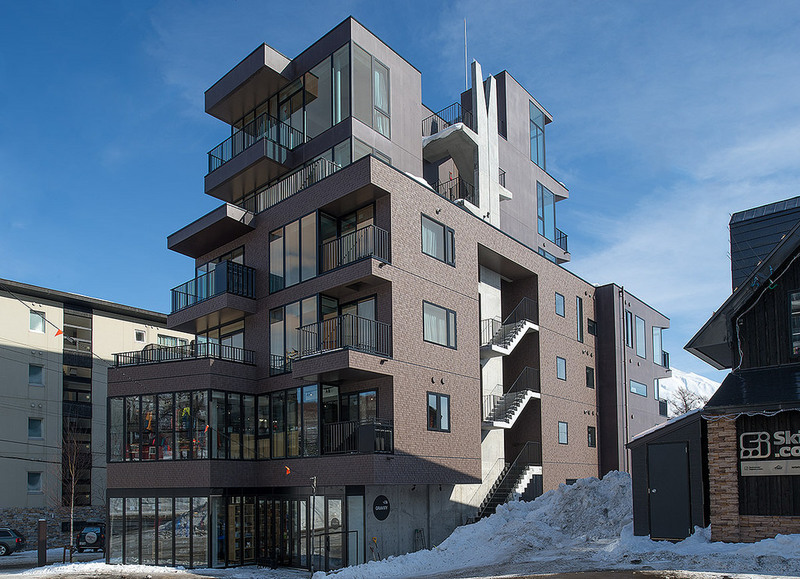 LOFT Niseko only features four apartments. This ensures a high level of service and care by the dedicated on-site concierge team. The concierge is available from morning to evening to help you make restaurant reservations, drive you to the lifts or anywhere else in the village. This makes your stay a pleasant and unforgettable one. The complimentary mobile phone provided upon check-in ensures that the dedicated concierge is always accessible at your fingertips. 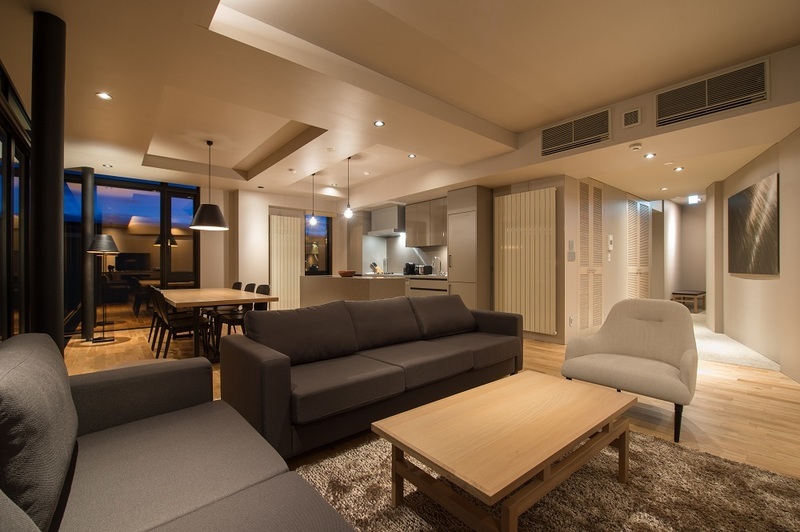 If you are coming to Niseko, be sure to consider one of the above luxury residences. Don't hesitate to contact Vacation Niseko's friendly reservation staff if you need any assistance in your holiday planning!